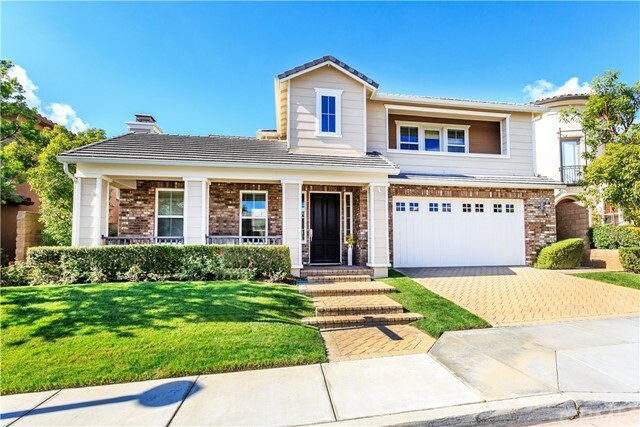 Welcome to 20110 Chianti Ct.! 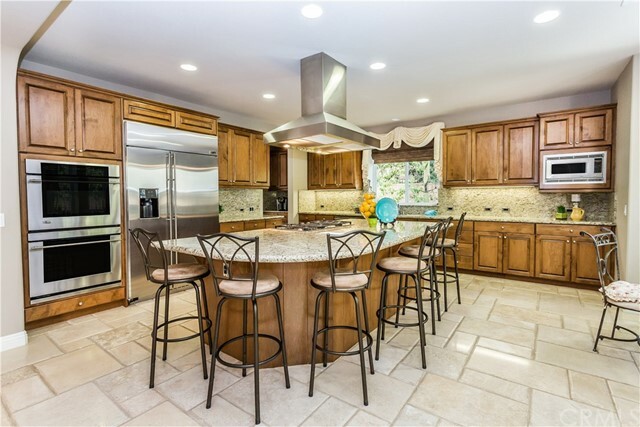 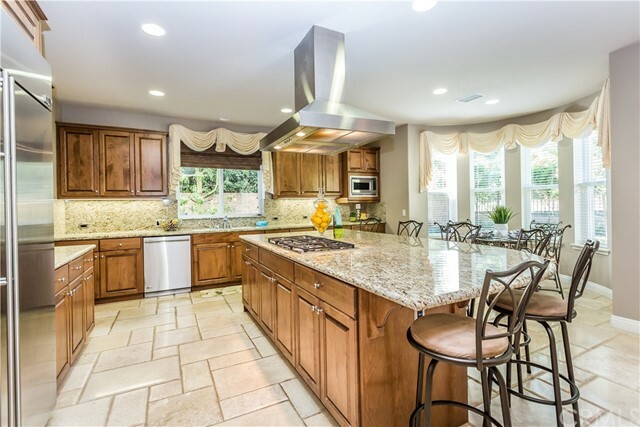 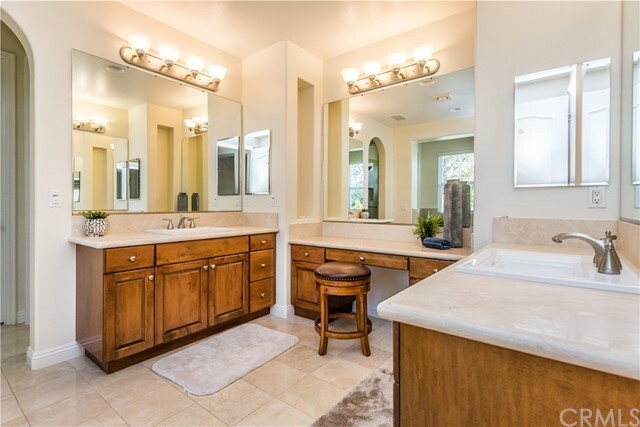 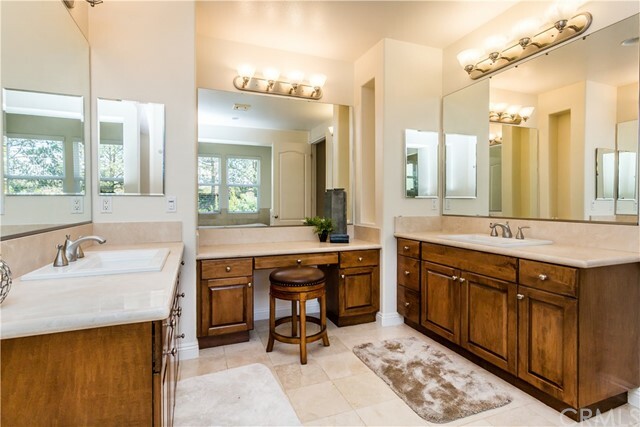 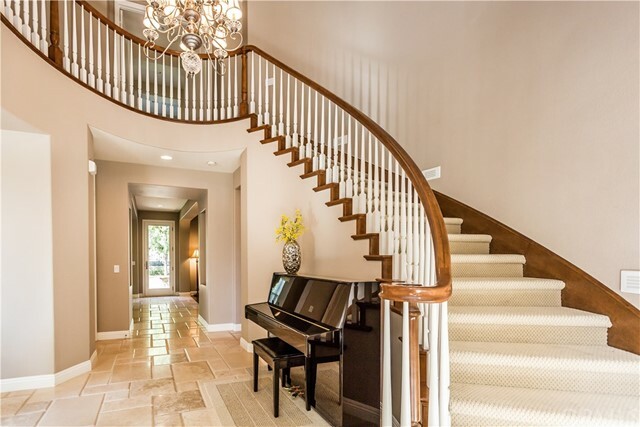 This stunning former model home is located in the prestigious Amalfi Hills community and is walking distance to shops, restaurants and the acclaimed Yorba Linda High School. 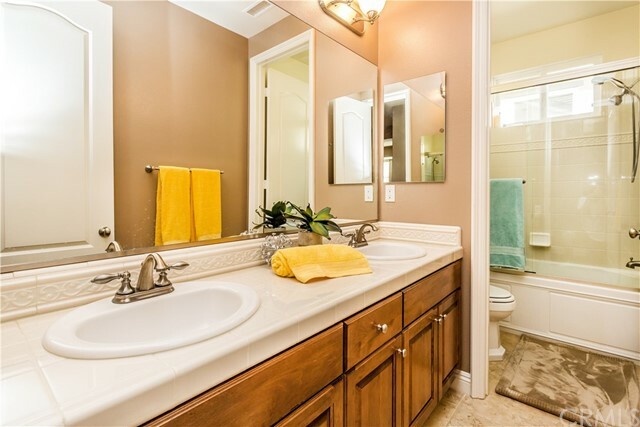 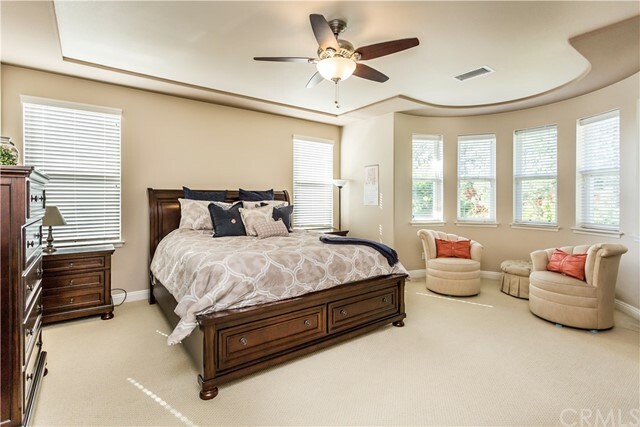 This turn key estate offers four generously sized bedrooms and four and a half bathrooms. 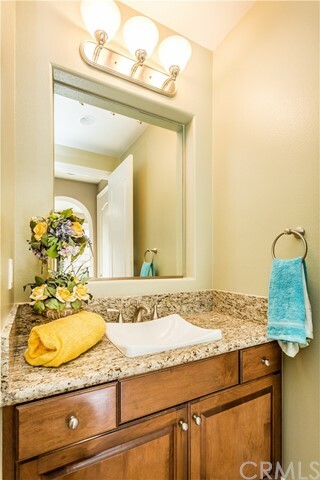 Attention to detail is apparent around every corner. 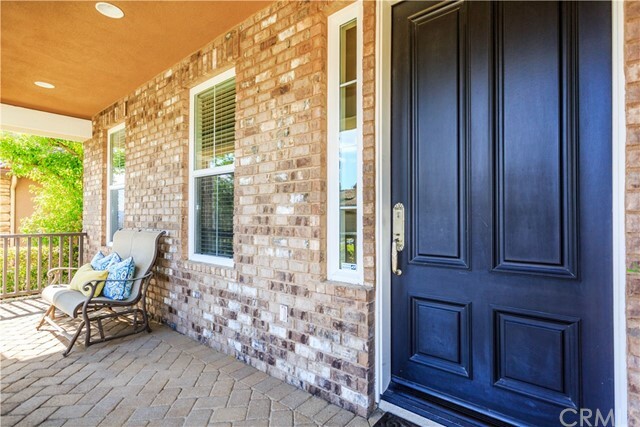 A private, relaxing courtyard greets you off the entry. 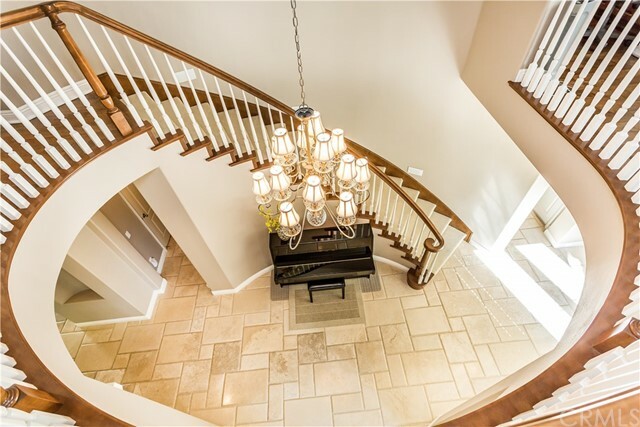 The beautiful flooring is a designer blend of custom travertine, wood and plush carpet throughout. 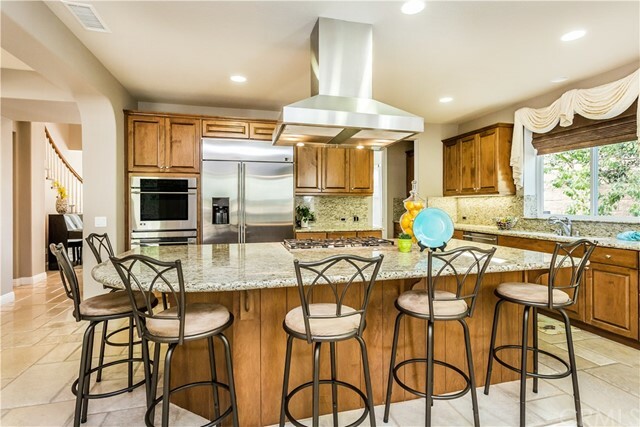 The spacious gourmet kitchen boasts stainless steel appliances, granite counter tops, rich wood cabinetry, a sit up bar with seating for six, double ovens, walk in butlers pantry, custom window treatments and a cozy breakfast nook. 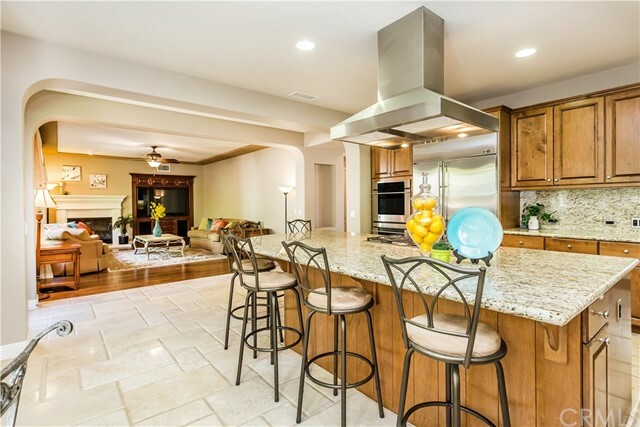 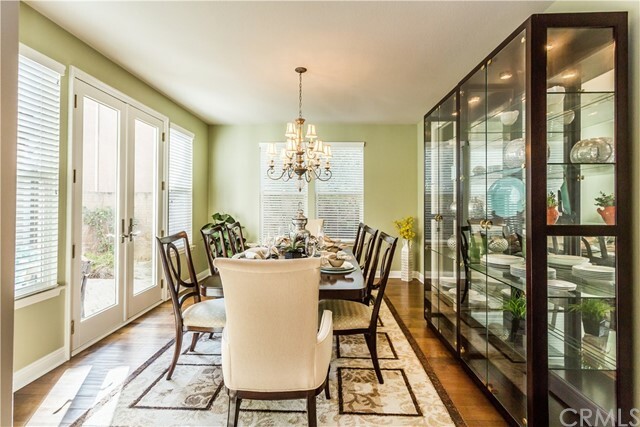 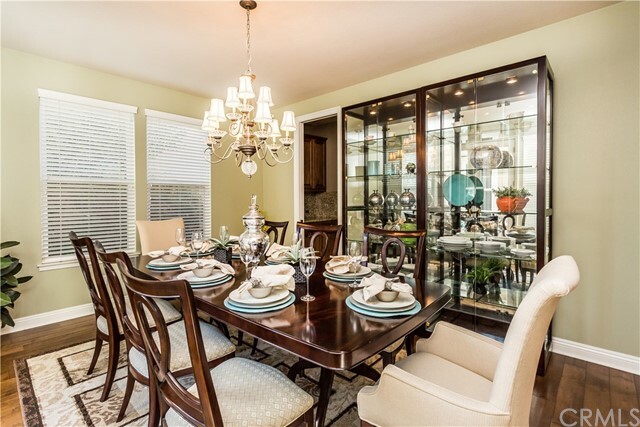 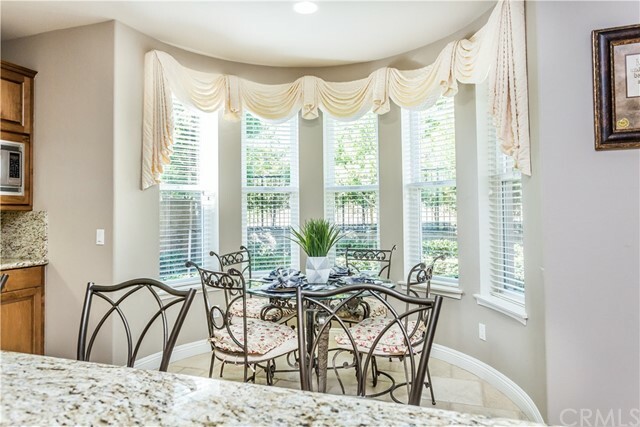 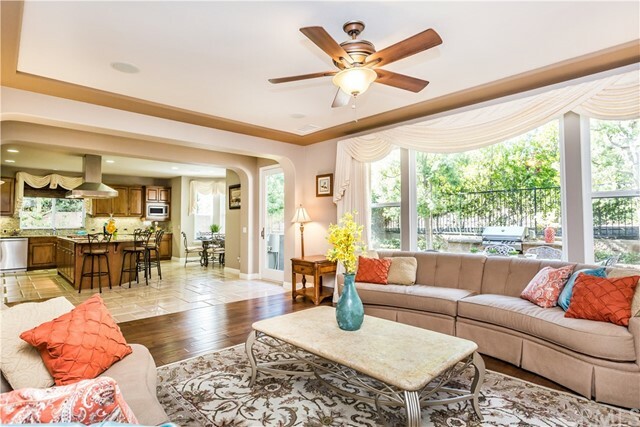 The kitchen combines with the family room making a great room, perfect for large family gatherings. 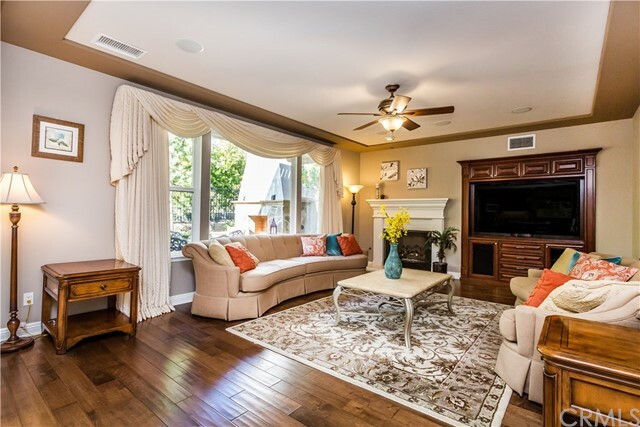 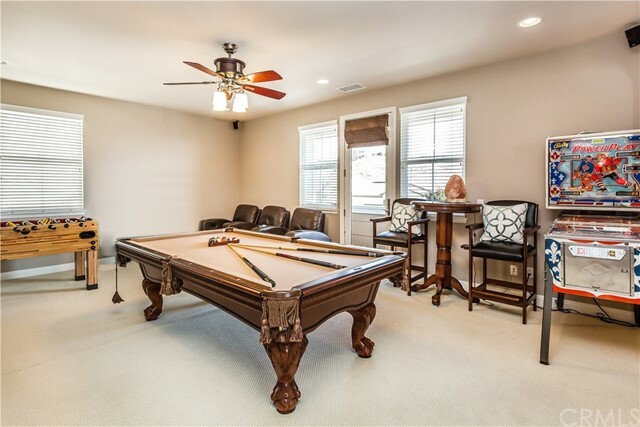 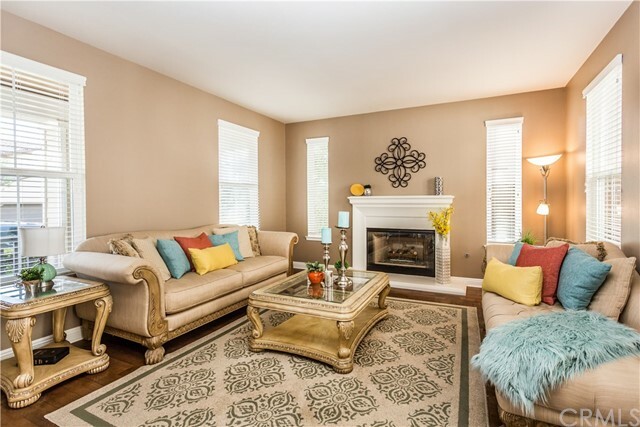 Family room is complete with built in entertainment center, fireplace, ceiling fan, and a surround sound system. 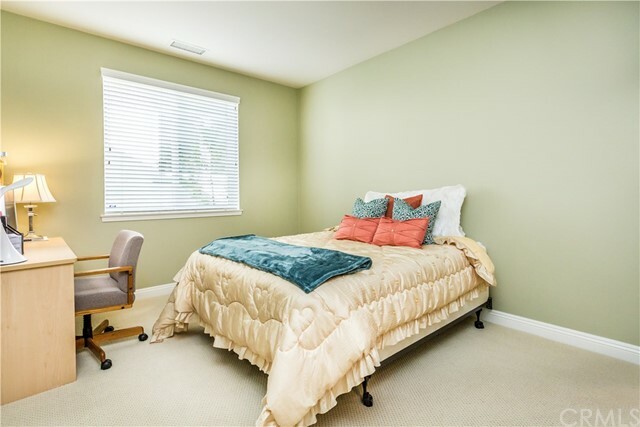 One en-suite bedroom located downstairs. 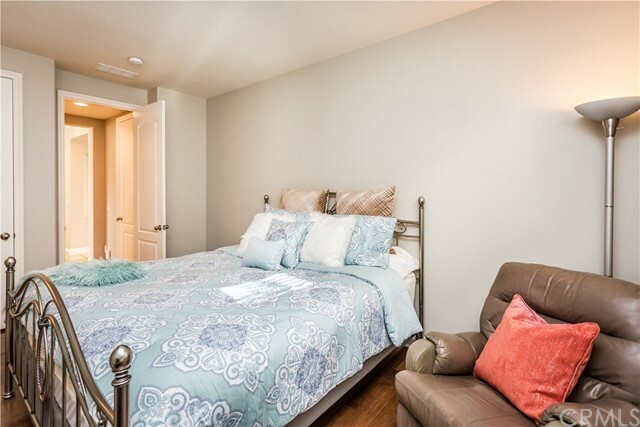 Three bedrooms, extra large bonus room, loft with built in office space, laundry room and plenty of storage cabinet space located upstairs. 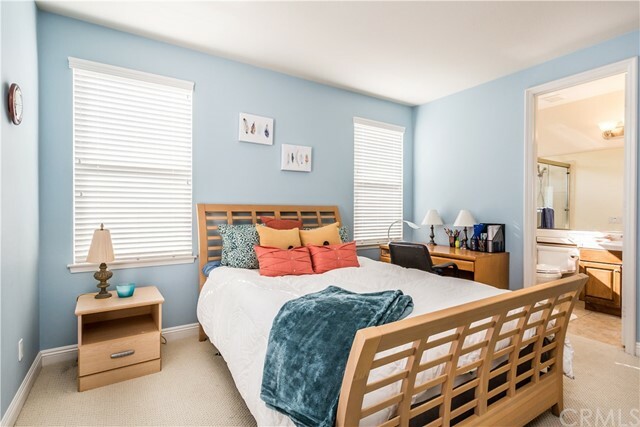 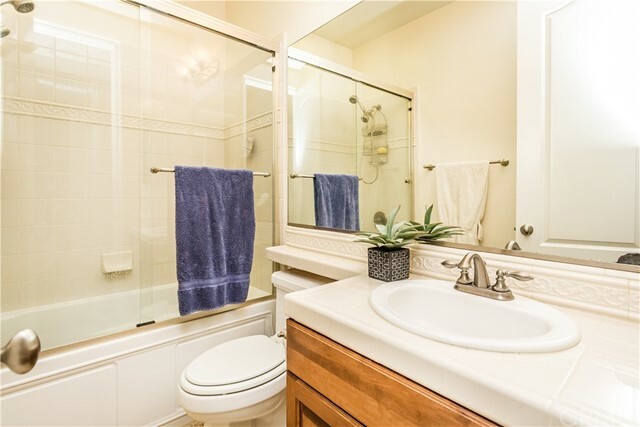 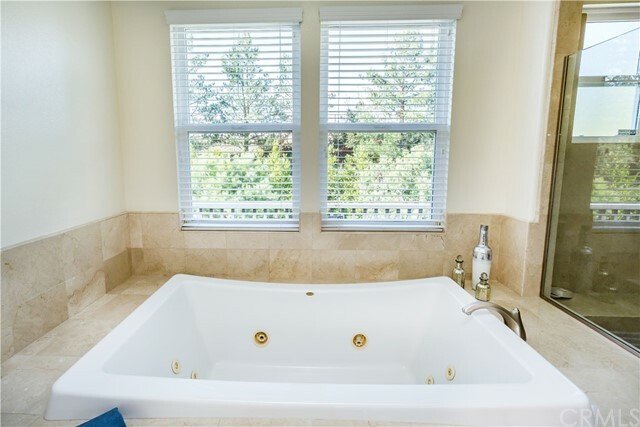 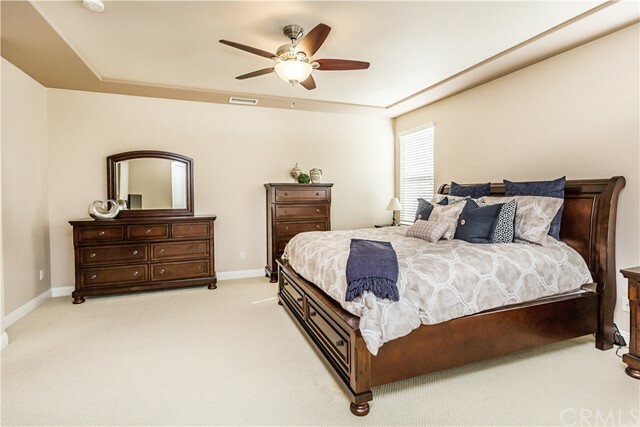 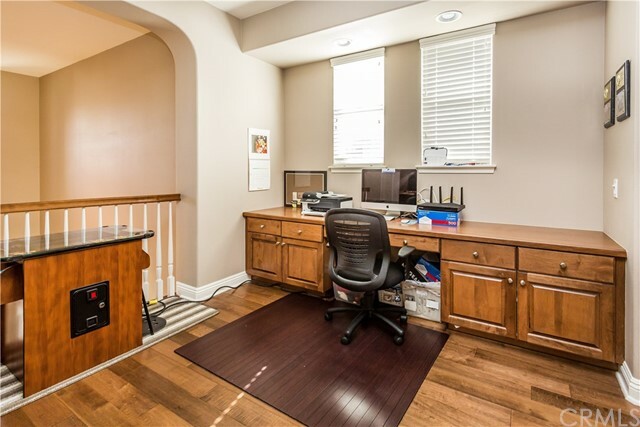 The master bedroom includes a private walk out balcony, which over looks the pristine backyard, sunk in bath tub, dual sinks, a vanity area and walk in closet. 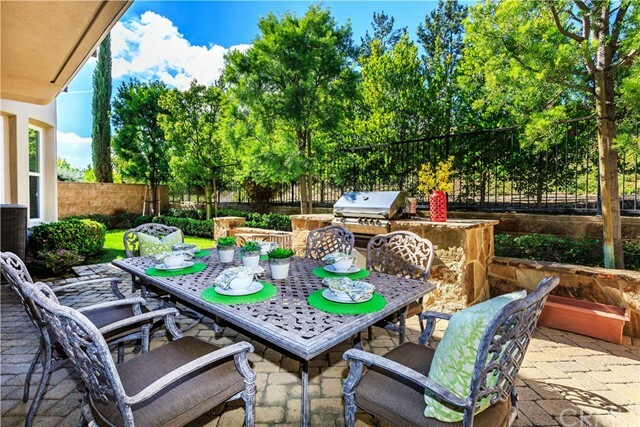 The backyard is a wonderful place to entertain! 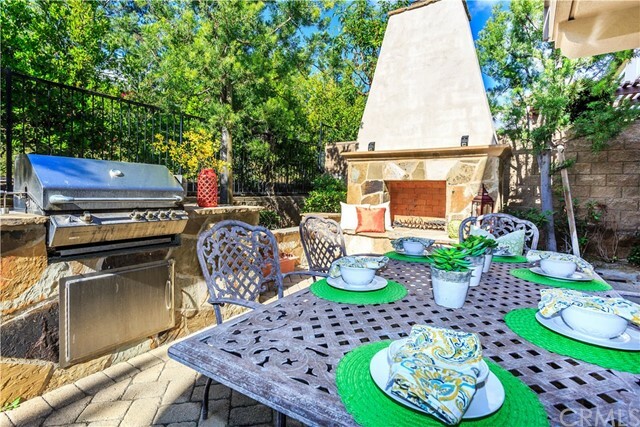 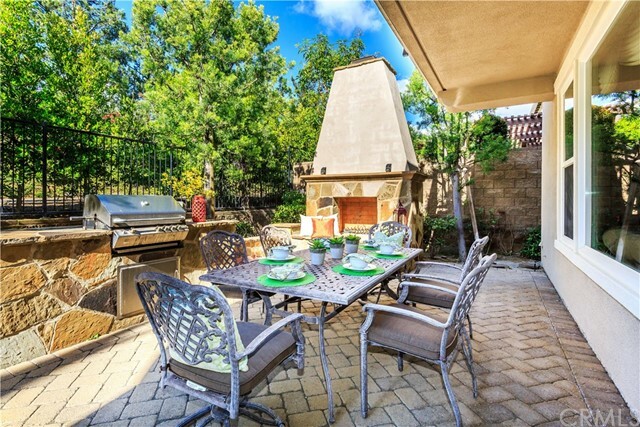 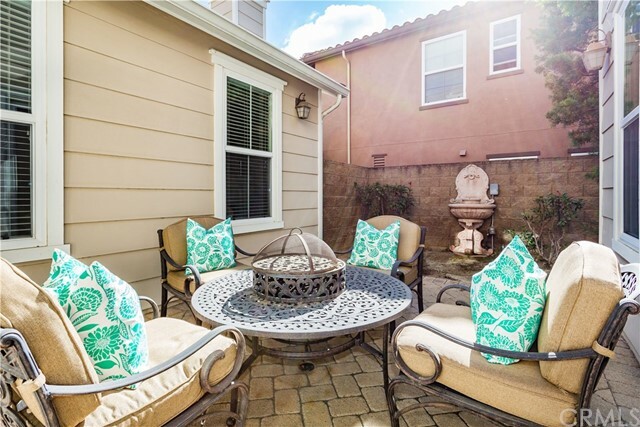 Enjoy the California lifestyle with a built in BBQ and beautifully crafted outdoor fireplace.